I’m back, safe and sound with the muggers and drug dealers in NYC. My people. The last leg of our little NW adventure took place in charming Portland. It’s rare on a tour like this to spend a few days in one town, but that’s how it worked out, and I was well pleased. I reintroduced myself to the town in usual Hempton fashion; by schlepping my gear for miles. But there are few more schlep-friendly towns around- well maintained sidewalks, no hills to speak of, and an almost complete absence of people. It’s a quiet joint. The walk took me across the delightful Willamette river to the colourful East Side. I kept the doors and windows open day and night, but this stuff lived there. After three days in that room, my suit became the season’s have-must item! On the Sunday night, we headed south to the town of Aurora, and the Aurora Colony Vineyard. 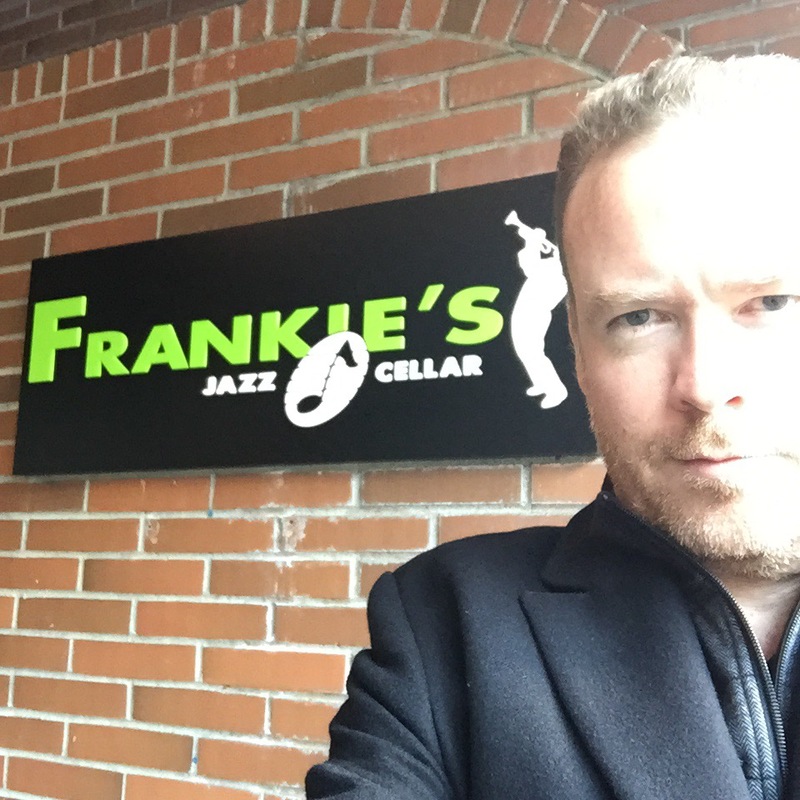 Oregon is known for its wineries, and one of these days, a vineyard jazz tour is in order. I was joined by some top-notch Portland players, and we played in the vineyard’s tasting room to a select (read small) group of discerning patrons. A little gig like this, while not financially particularly rewarding, is still a great pleasure for its intimacy. The audience felt involved in the performance, and I felt involved in the wine tasting. Very involved, actually. They squeeze a mean Sauv Blanc, and our generous hosts laid on some top-flight grub (pear and blue-cheese pizza anyone?). Audience and band chatted after the show, and when we rolled out of there, we were all firm friends. I had the next day off, and spent it on one of the classic Portland tourist activities: standing in line all freaking day at the bank. I had some Canadian cash to deposit, and when I finally reached my 12-year-old teller, he was not only unfamiliar with Canadian currency, I suspect he’d never heard of the country. We sorted it out, and after converting it at the current rate, I took my Vancouver gig money and bought a doughnut. Voodoo Doughnuts: The Magic is in the Hole. I tramped around town for the rest of the day, sampled from the countless food carts, got lost in the world’s biggest bookshop (if you lose your friend in a bookshop, can you have them paged? ), and had dinner at a few of the city’s 65-odd breweries with a record company executive (it was actually my friend Nick from the Posi-Tone label…). Beer is a big thing in this town- they’ve got more breweries than any other city in the world- and you’ll often find yourself sitting in the shadow of the vat containing the beer you’re currently drinking. They go for the big hoppy varieties, subtle as a smack in the ear with a housebrick, and often a bit sweet for mine, but I’ll keep trying. 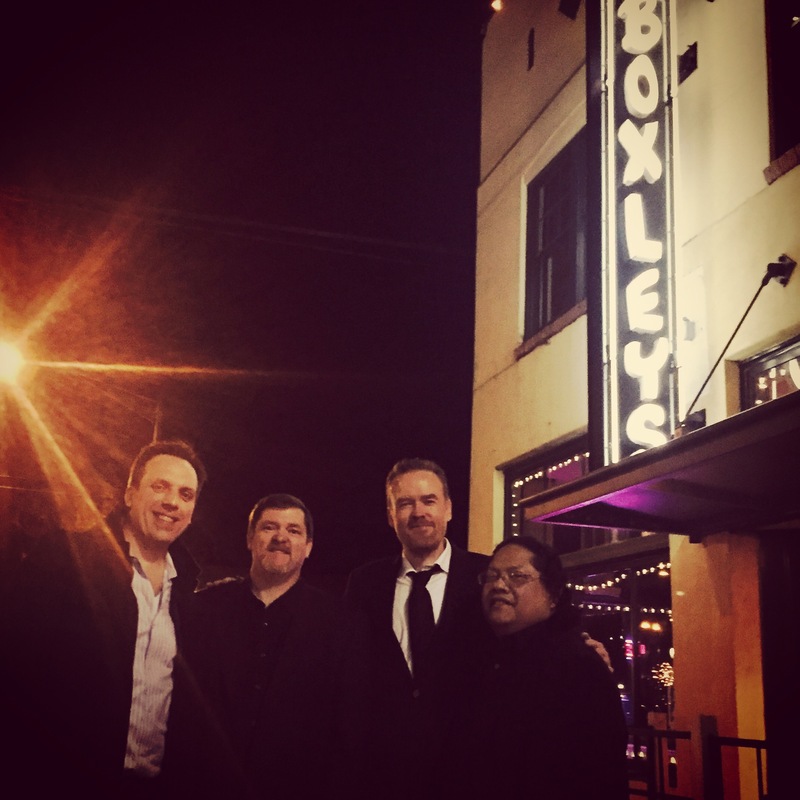 Tuesday we played at what was then called the Dahlia Theater in the lovely town of Canby, Oregon. Since I was originally booked for this show, the venue has been called Canby Wedding Chapel, Angelina’s Artiste Centre, and the Dahlia Theater. Who know’s what it’s called now. I can’t tell you what a joy it is to promote a show that changes its name every week. It’s actually a real Methodist chapel, built in 1884, with lovely ornate pressed tin walls. It’s a beautiful old pile, with naturally warm acoustics, and is now, thanks to owners Marilyn and Martin, exclusively used for concert presentations. Check this joint out! Next morning, it was toodle-pip to the girls at Union Jacks, and a cab (driven by a local bass player- I talked all the way) to the airport. It was a great fun trip, and I’m looking forward to getting back there soon. Next week: bonkers in Honkers! On the tour bus like a rockstar! I don’t recognize anyone in my entourage, and I’m surprised so many groupies dress in sweat pants and Ugg boots, but whatever. It’s been a pretty huge couple of days; I’m beat, and I’m glad they’re all pretending to ignore me. Caught the 6AM flight from NY yesterday, having come straight from work. The only person crankier than me on the flight was the two year old sitting next to me. It was an impressive seven hour marathon of screaming and flailing, and the kid made a fair racket too. I arrived gritty-eyed and dishevelled in charming Vancouver, but happy to be free. To the hotel for a quick lie down, then a 30-second stroll to Frankie’s Italian Kitchen. A few months ago, Frankie’s was just a classy Italian restaurant with a faintly Mafia-esque name. Then Jazz impresario Cory Weeds moved in. 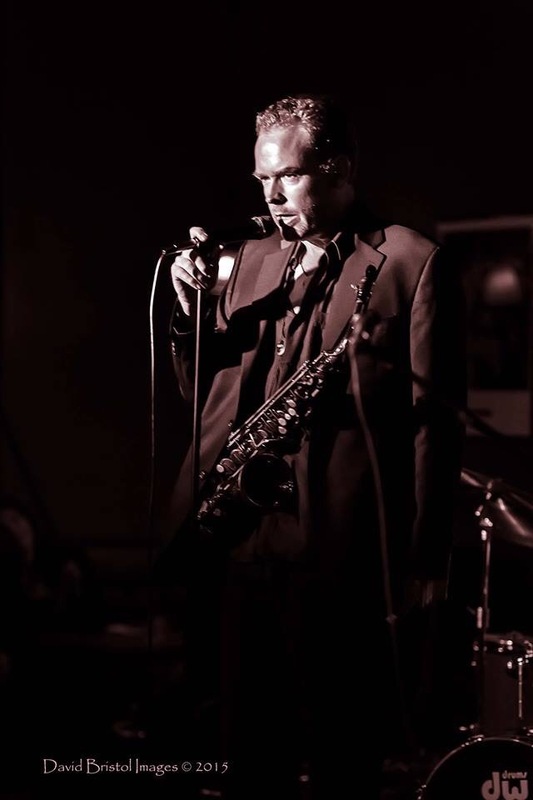 For 13 years, Cory ran the esteemed Jazz Cellar in Vancouver: a top notch jazz club that hosted countless jazz legends; and even Hempton made an appearance shortly before it shut down. Coincidentally. Cory has now turned Frankies into a comfortable, welcoming jazz room, with great sound, piano, drums, ambience- everything one wants in a club. Joining me on the stage were three fabulous local players: Jodi Proznick at the bass, Miles Black on piano, and Jesse Cahill at the drums. Time didn’t allow for a rehearsal, so a talk-through was all they got- and they nailed everything. I couldn’t have asked for a more swinging group. The crowd was smiley and receptive, and the beer was cold and restorative. I also got to spend a bit of time with the Canadian wing of the Hempton clan, and talk cricket with Jesse. 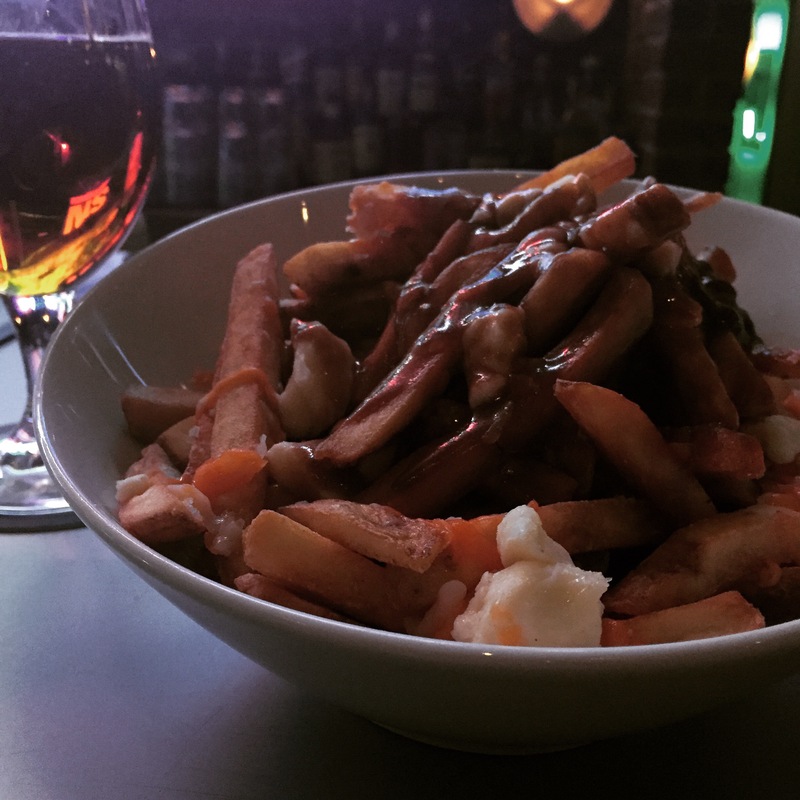 After the show, I retreated to my hotel bar for a nightcap, and ended up with a bucket-sized bowl of Poutine. This is a Candian specialty (actually a Montreal thing, I think), and I’d never tried it. It’s essentially french fries and gravy, with some kind of cheese curd splattered about. I was underwhelmed. I think one might have to be a lot drunker than I was to fully appreciate Poutine’s singular depth and complexity.